The focus is in Aries. The New Moon on the early hours of Monday at 26+ degrees of Aries fell right in the middle of the Uranus-Eris conjunction. 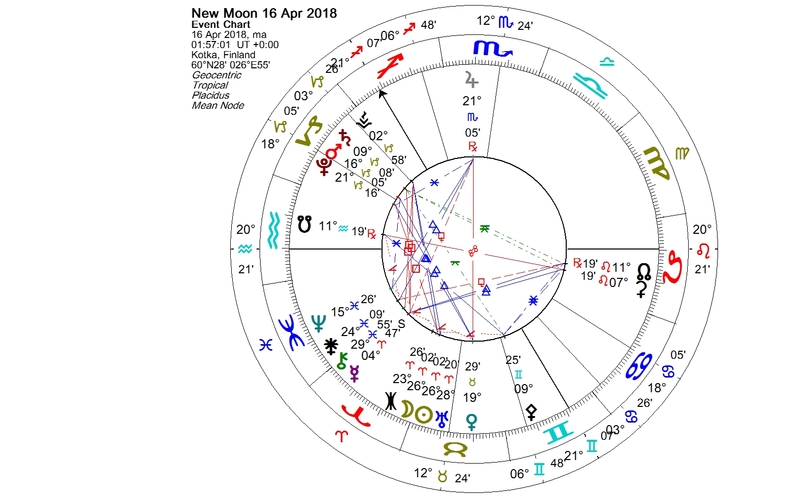 Mercury in Aries had turned direct on Sunday before the New Moon, giving a mental boost on this new lunation. On Tuesday Chiron, the first centaur discovered in 1977, changes signs and enters Aries from Pisces. Uranus and Eris formed three exact conjunctions in 2016 and 2017. The previous time that they were in a conjunction with each other, was in 1927 and 1928. The current conjunction has started slowly unravel, and it is about five degrees wide now. The Sun and the Moon conjoined exactly between Uranus and Eris. The combination of these energies is interesting. The New Moon marks always a beginning of a new phase. The energy of Aries is energetic, enthusiastic, courageous and assertive leadership energy. The keyword for Aries is “I am”. The Sun is the life giver. 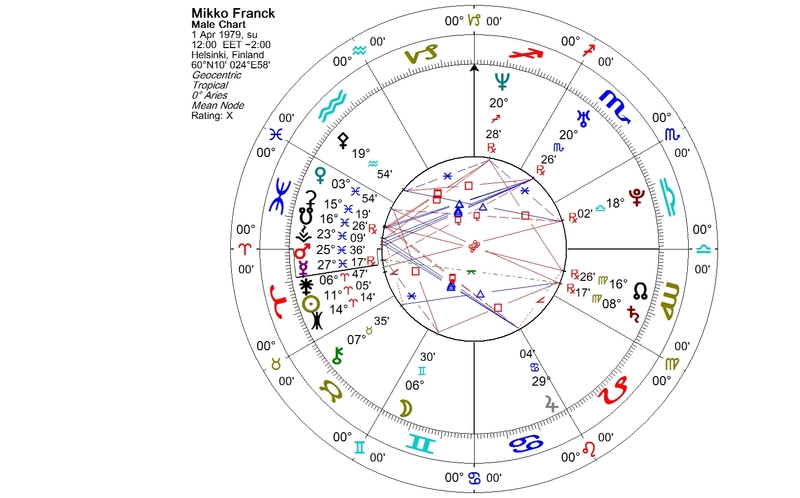 The astrological Sun is the symbol of our ego. The energy of Eris is quite different. In Greek mythology Eris was the rejected Greek goddess of strife and discord. Themes of exclusion and alienation can sometimes be found in the charts with prominent Eris. 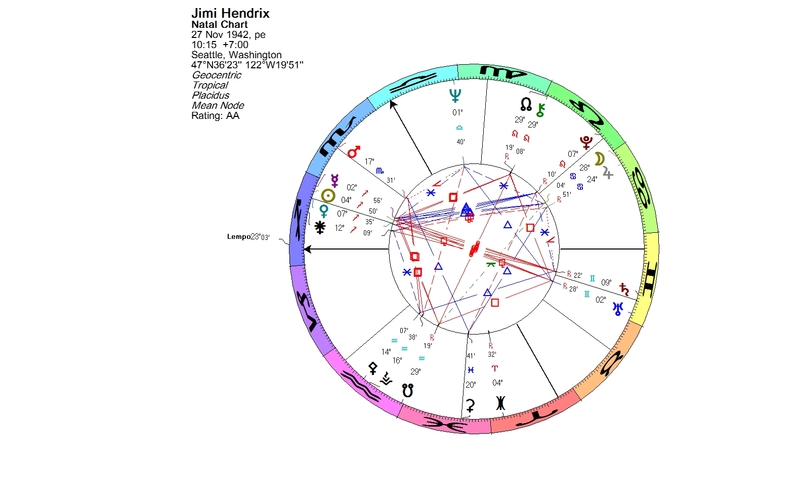 However, many extraordinarily gifted artists are having the Sun-Eris conjunction in their birth chart. Perhaps their success results from their ability to express their true self honestly. Irwing Wallace (March 19, 1916 – June 29, 1990) was an American best-selling author and screenwriter. He enjoyed writing the stories of outsiders. He began writing at age of 15. Many of his novels have been filmed and translated into several languages. 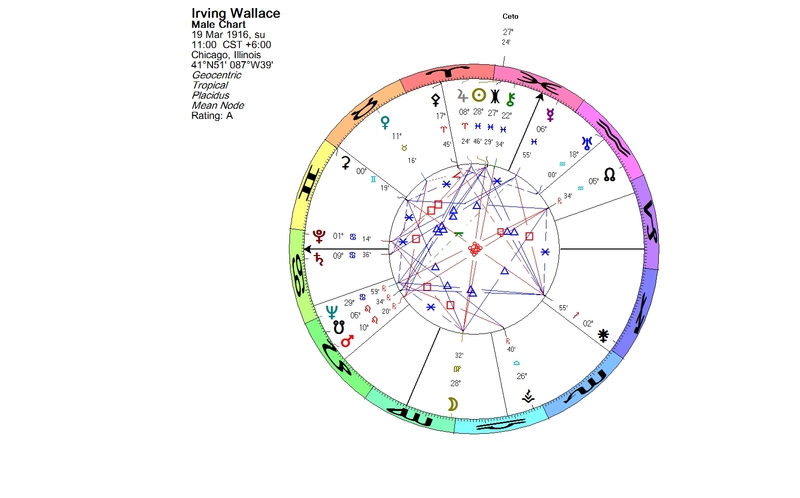 He has said: “To be one’s self, and unafraid whether right or wrong, is more admirable than the easy cowardice of surrender to conformity.” Wallace has a quadruple conjunction of Chiron, Ceto, Eris and the Sun in Pisces. Marcel Marceau (born Marcel Mangel, March 22, 1923 – September 22, 2007) was a French actor and mime. He referred to mime as the “art of silence”. He performed professionally worldwide for over 60 years. As a youth, he lived in hiding and worked with the French Resistance during World War II, and helped many children to escape to Switzerland. 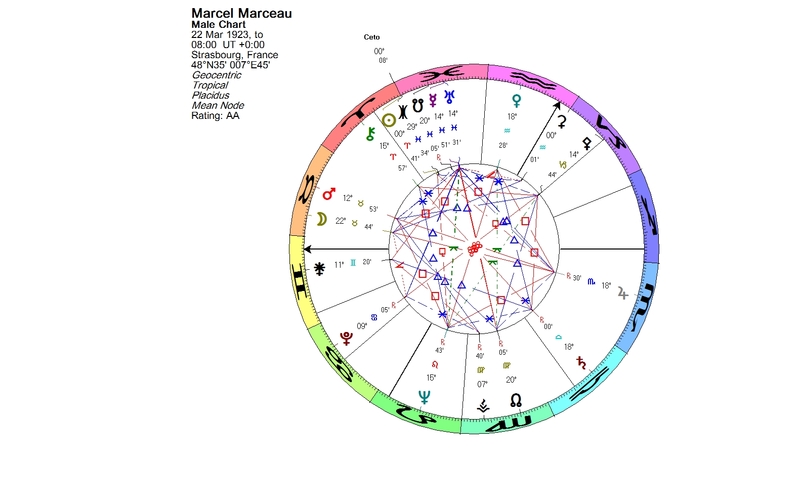 Marcel Marceau has a triple conjunction of Eris, Ceto and the Sun at the Aries point. Dario Fo (March 24, 1926 – October 13, 2016) was an Italian actor–playwright, theatre director and the recipient of the 1997 Nobel Prize in Literature. He used methods of improvisation and the ancient Italian commedia dell’arte. He criticized corruption, organized crime, racism and war. His plays have been translated into 30 languages and performed across the world, often modified to reflect local political issues. 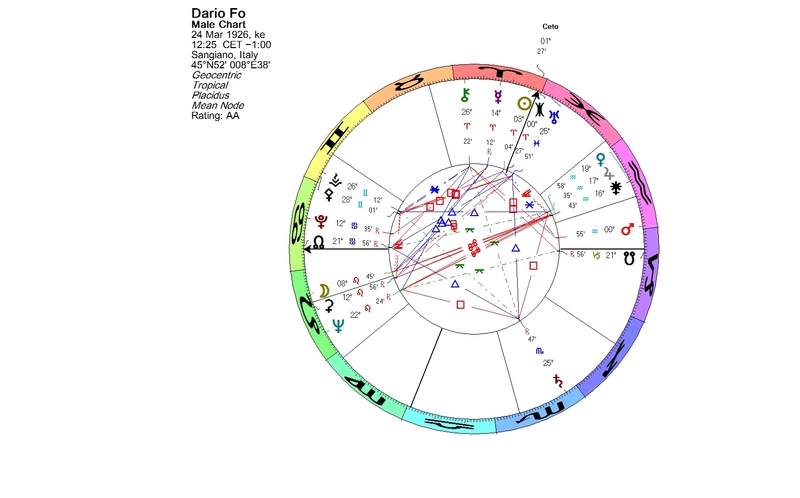 The U.S. authorities refused Dario Fo permission to enter the nation, accusing him of “belonging to organizations supporting terrorist groups.” Dario Fo’s triple conjunction of Eris, Ceto and the Sun is on his Midheaven and at the Aries point. 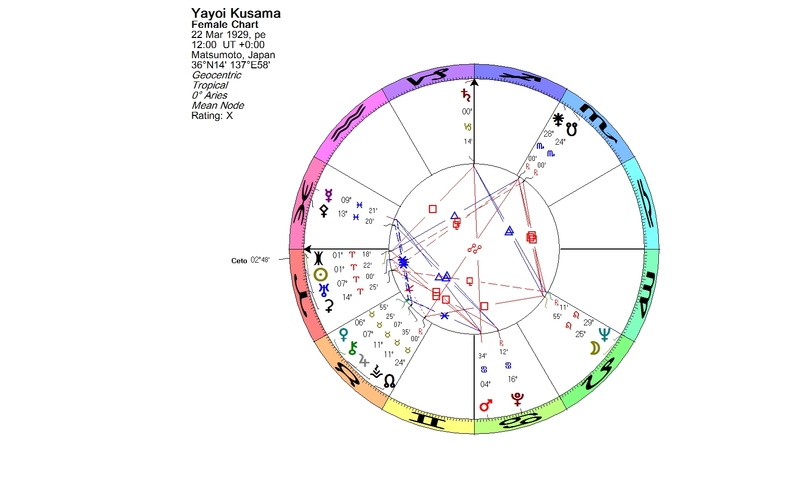 Yayoi Kusama (born March 22, 1929) is one of the most important contemporary artists. Her work is infused with autobiographical, psychological, and sexual content. In 1977 Kusama checked herself into the Seiwa Hospital for the Mentally Ill, and she has been living at the hospital since, by choice. Kusama has continued to work as an artist. Museums throughout the world have her work in their collections. She has a quadruple conjunction of Eris, Ceto, Uranus and the Sun in Aries. Pharrell Williams (born April 5, 1973) is an American rapper, songwriter and record producer. I Am Other (stylized as i am OTHER) is a multi-media creative collective that serves as an umbrella for all of his endeavors, including a YouTube channel launched in 2012. 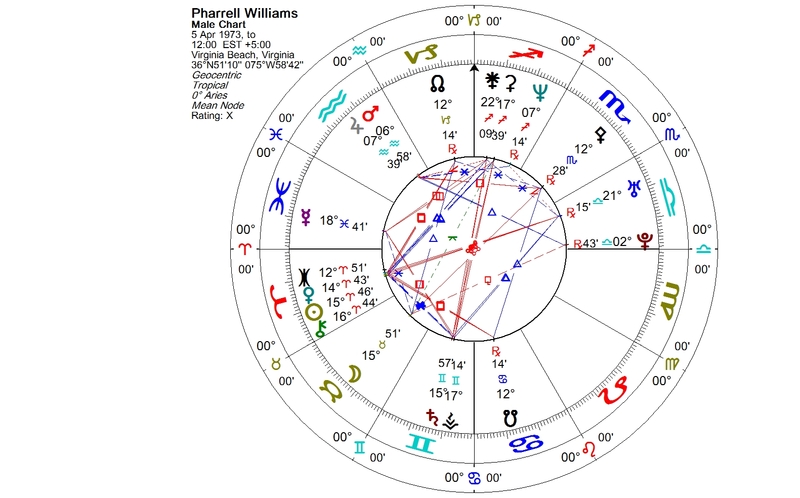 Williams describes the channel as a “cultural movement dedicated to Thinkers, Innovators and Outcasts.” Pharrell Williams has a quadruple conjunction of Eris, Venus, Chiron and the Sun in Aries. Mikko Franck (born April 1, 1979) is an internationally succeeded Finnish conductor and violinist. Franck entered Jorma Panula’s conducting class at the Sibelius Academy in the fall of 1996. He ended his studies there in 1998 without receiving a diploma because his international career had already begun. Today he works as the music director of the Orchestre philharmonique de Radio France. He has the Sun-Eris conjunction in Aries. Leona Lewis (born April 3, 1985) is a British singer-songwriter. She won The X Factor in 2006. In 2014 Lewis took leave from Syco Music and stated: “I was asked to make a record that would not have been true to myself.” The name of her latest studio album released by the new record label is I Am. 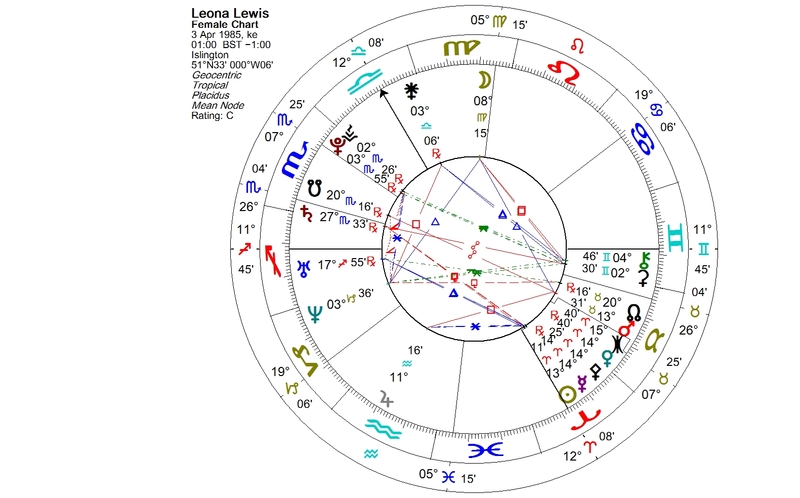 Lewis has a stellium in Aries, formed by the Sun, Mercury, Pallas, Venus and Eris. 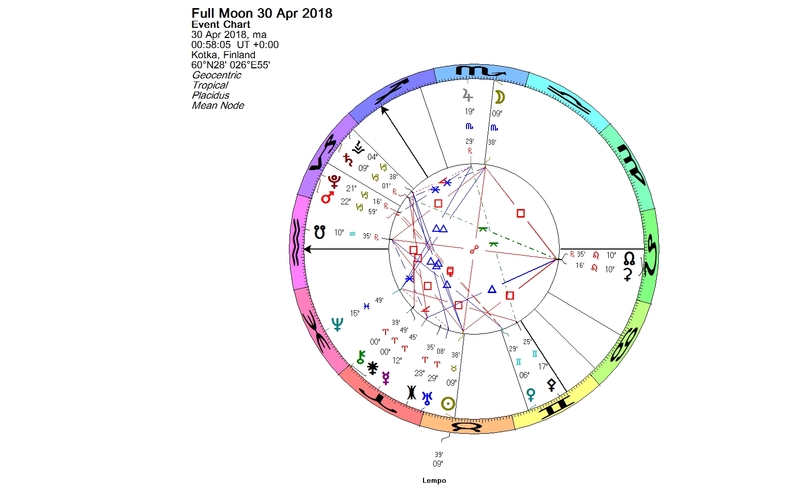 You are currently browsing the Lunations by Kirsti Melto weblog archives for April, 2018.